Lovely new courts at Oakleigh Park! Come and try them at our club nights every Friday and Sunday evening - 3 hours. Everybody welcome! 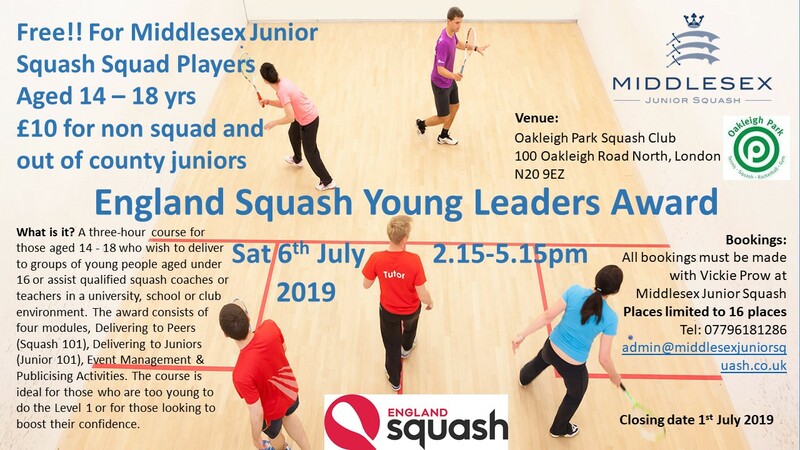 Are you a coach or leader delivering England Squash programmes?